We are speaking of stem cell therapy integrated with clinical research, and the resultant evidence-based stem cell intervention. 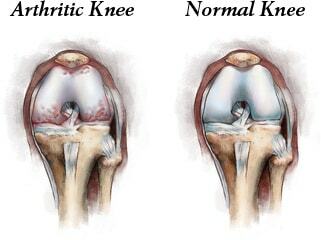 Osteoarthritis is becoming more prevalent as I am seeing younger patients with arthritis as a consequence of sporting injuries such as ACL tears. The baby boomer population is experiencing accelerated onset of arthritis; their joints are prematurely aging in large numbers. At the same time, the master population is aging and living longer. As a result, I continually research biologic interventions to best address the ever-increasing number of those effected. Why should a patient choose an orthopedic surgeon to manage their Osteoarthritic related symptoms and functional impairment? Our world is evidence based. In a retrospective study published online in BMC Musculoskeletal Disorders, shoulder osteoarthritis (OA) patients received faster and more invasive treatment when they received a new diagnosis from an orthopaedic specialist (OS) versus a nonorthopaedic physician (NOP). Patients with shoulder OA (n = 572) received care from either an OS (n = 474) or NOP (n = 98) on the date of their index shoulder visit. OS patients received their first treatment significantly quicker than the NOP cohort (16.3 days versus 32.3 days, respectively). The OS group also had higher rates of operative treatment within one year following their initial visit. Physical therapy (PT) may not be inferior to early operative treatment of arthroscopic partial meniscectomy (APM) for improving knee functionality in patients with nonobstructive meniscal tears, according to a study published online inJAMA. The randomized clinical trial included 321 patients with nonobstructive meniscal tears aged 45 to 70 years who were treated at nine hospitals in the Netherlands between July 17, 2013, and Nov. 4, 2015. Patients were treated with APM (n = 159) or a predefined PT protocol (n = 162) that included 16 exercise therapy sessions over eight weeks. PT sessions focused on coordination and closed kinetic chain strength exercises. At 24-month follow-up, knee functionality in the PT group improved by 20.4 points compared to 26.2 points in the APM group. The difference did not exceed the noninferiority margin.